Jan and Cora Gordon and "The Praps": Edward Steichen in WW2. Last Friday I visited the very enjoyable Maritime Museum of San Diego. One section showed wartime photographs by Edward Steichen, who had served as Director of the Naval Aviation Photographic Unit. Back in February of this year, I identified "The Praps", two prominent characters in "A Girl in the Art Class" (1927) as Eduard Steichen and his wife Clara. The Steichens knew Jan and Cora Gordon from their time living in Montparnasse between 1906 and 1914. The information presented in the museum provided a fascinating glimpse of Steichen's later work. 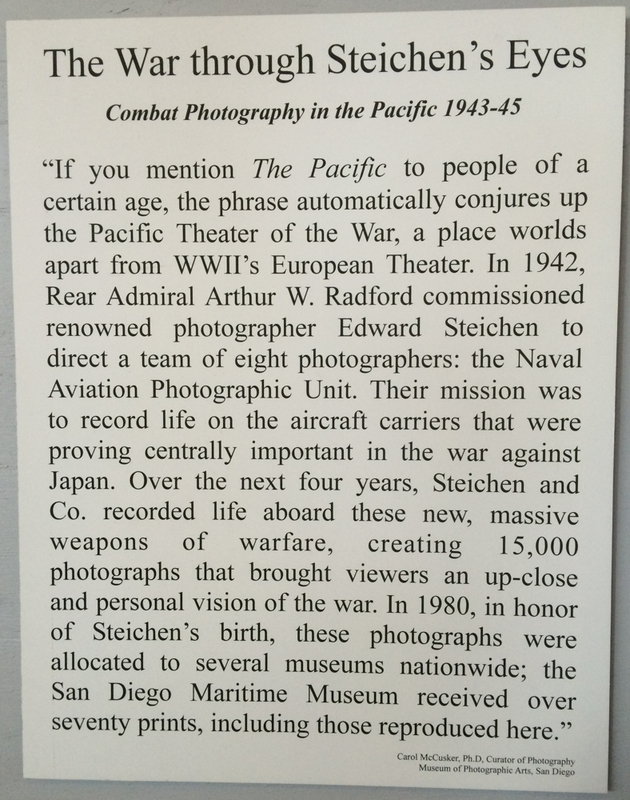 Steichen on an aircraft carrier in the Pacific, Maritime Museum of San Diego. 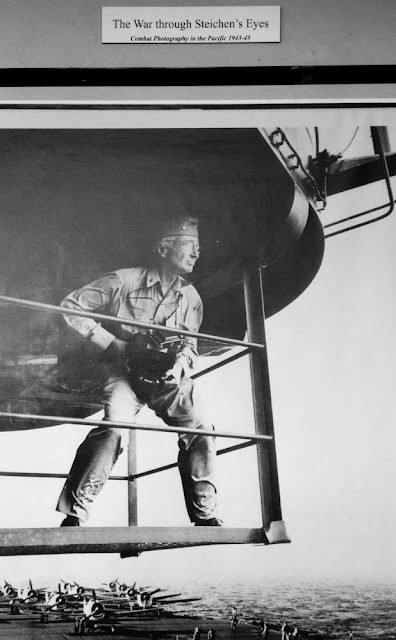 Here he is photographed above the deck of the aircraft carrier USS Lexington (CV-16) by Ens Victor Jorgensen, November, 1943. 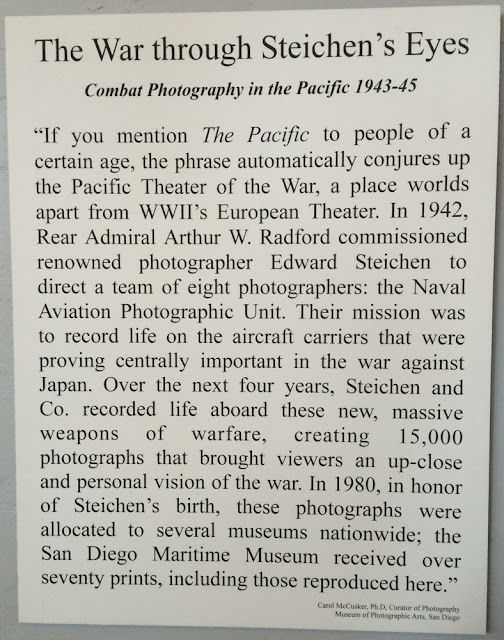 Carol McCusker's text on the role of Steichen's team in recording life on the aircraft carriers operating in the Pacific Theatre of WW2, Maritime Museum of San Diego. Jan and Cora Gordon: "A Californian Holiday"